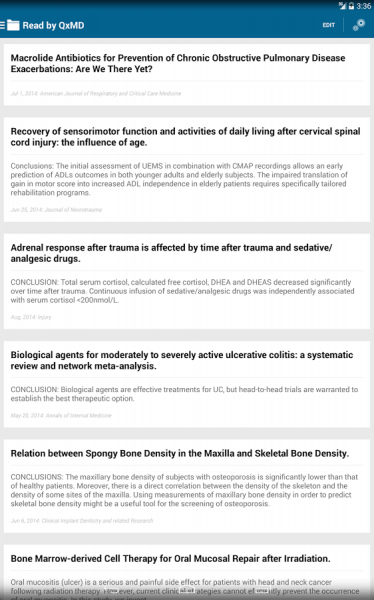 More than a year after its launch for iOS devices, QxMD has released “Read: Personalized Medical & Scientific Journal” for Android devices. 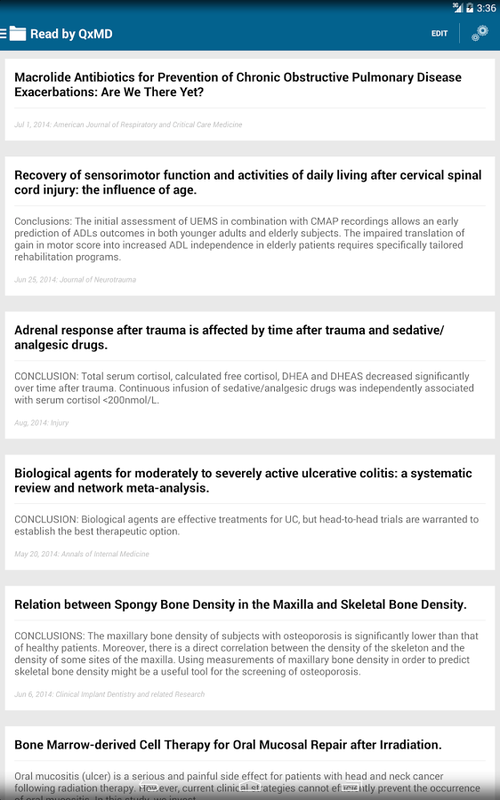 We’ve always been big fans of the app, which we affectionally call the flipboard for medical journals. The app enables you to use your institutional login to access your medical journals in a easy to consume manner. The app has social integrations, a commenting section, and other features — letting you know the key articles your colleagues are reading. For example, when I login to the app, I receive all the relevant Emergency Medicine journals I’ve set up, using my academic institutions access. I’m able to tell which articles are trending and able to easily read the associated PDFs.